The Speedo Opal Pink & Silver Smoke Lens Goggles are a low profile goggle with the flexibility to interchange nose bridges, enabling the perfect fit. Now available in a range of cool colours that are Ideal for both the active and leisurely swimmers. 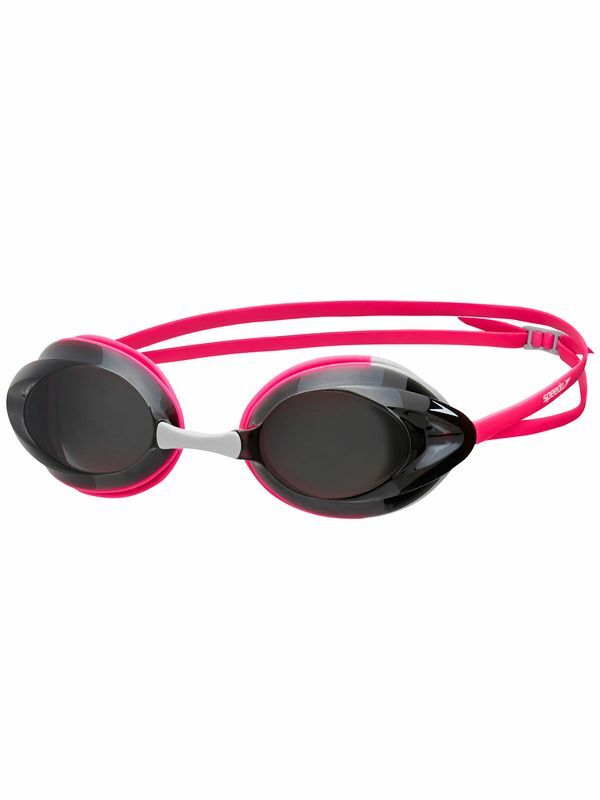 Opal Pink & Silver Smoke Lens Goggles manufactured by Speedo Swimwear the worlds leading swimwear brand. Speedo is passionate about life in and around the water, creating revolutionary new technologies, designs and innovations.